Knit from bright red yarn for a festive yuletide look, this pair of 28" knit stockings is oversized (to ensure lots of treats from Santa?). 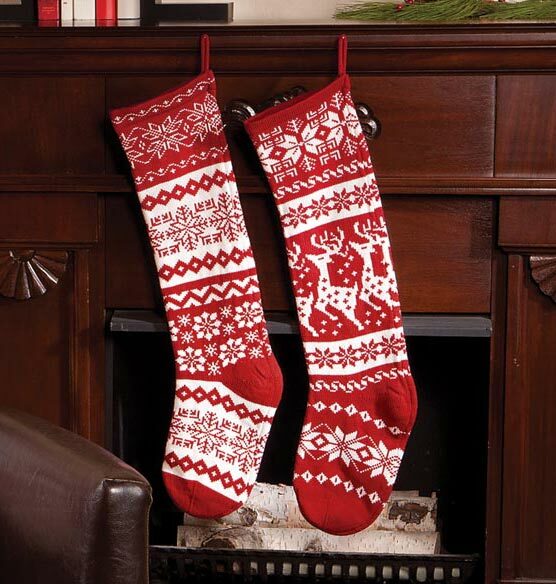 The soft knit yarn Christmas stockings hang beautifully from the mantel, creating a traditional Christmas look. Choose from a deer or snowflake design. Make a perfect gift idea for him or her. Now don't have to wrap each individual surprise, just place into stocking! Our grandchildren's first Christmas with a fireplace. 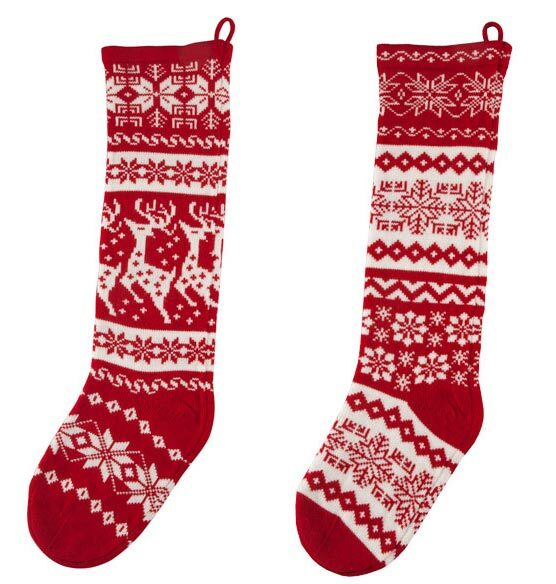 Thought these stockings would be cute for Santa to fill. Are the stockings sold in pairs or is it just one stocking? BEST ANSWER: Thank you for your question. The stockings are sold as one. We hope this information will be of help to you. Can you personalize these stockings? BEST ANSWER: Thank you for your question. Unfortunately no, we are not able to personalize the stockings.We hope this information will be of help to you.